Triton still the value pick. 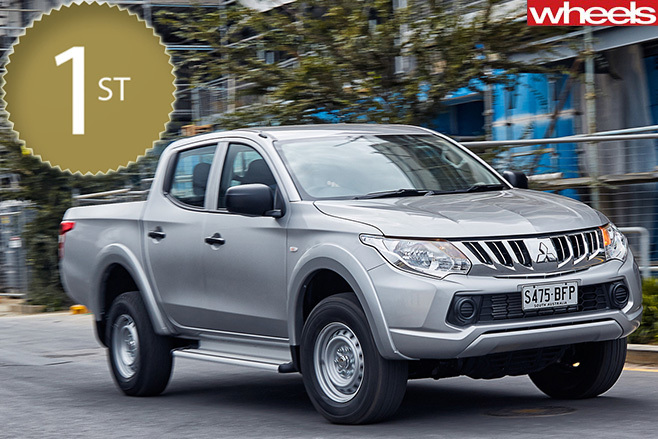 VALUE has long been a Triton trademark, and the Mitsubishi workhorse is more appealing than before thanks to a rebody earlier this year that brought a more mannered version of the 430Nm 2.4-litre turbo-diesel, a nicer interior and more standard equipment. Price powers the GLX 4x4 across the line first. 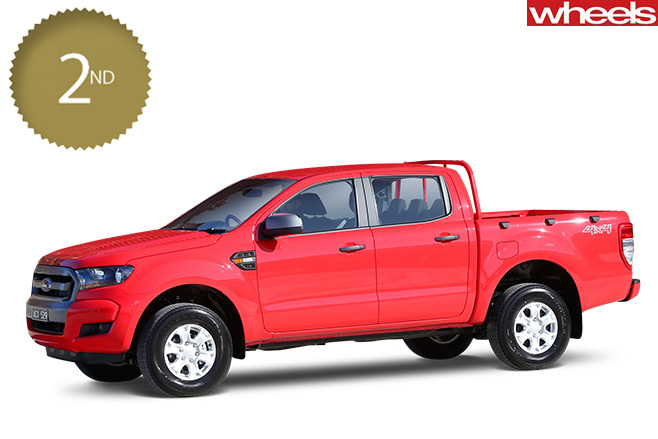 At $36,990, it costs nearly $9K less than the second-placed Ranger and undercuts the Amarok by $10K, though they both hold their value better in percentage terms. Still, the Triton loses fewer dollars to depreciation, while offering a longer five-year warranty and uses a bit less fuel. 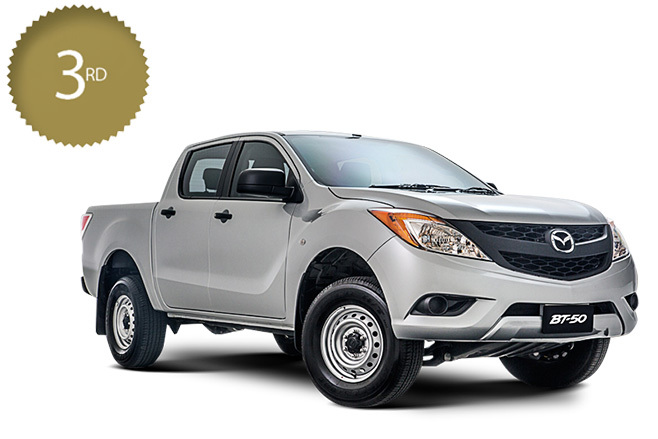 BLUE Oval-badged co-development beats its Mazda 'twin' because there’s no 2.2-litre diesel in the 4x4 BT-50 line-up – you've no option but to have the torquier, thirstier 3.2 in the Mazda, which otherwise matches the Ford. JUST a hair’s width between the BT-50, the Ranger above it and the Volkswagen Amarok behind it. They’re all good buying, even down to the notably absent best-selling Toyota Hilux (seventh), as long as you can live with the Mazda’s six-month service interval.